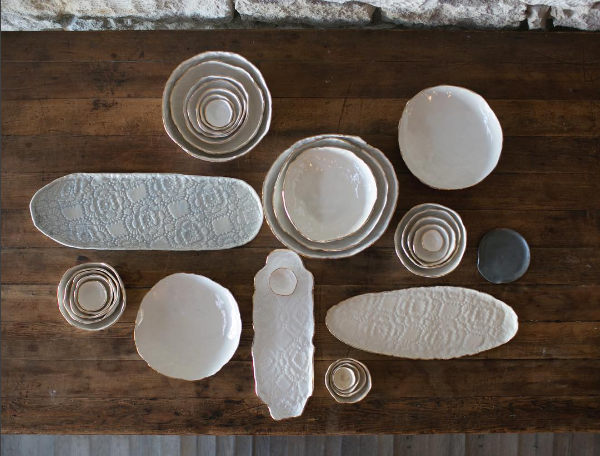 Sarah Zepick describes her pottery as hand-built pieces with organic edges. Her distinctive look usually involves a white glaze with gold rim. Her design wasn’t something she started out doing. “It developed through trial and error before I found a look that I loved,” she says. 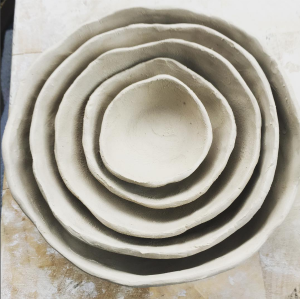 Although she had dabbled in pottery since high school, it was only in the last few years that she took some classes to learn the techniques she uses today. A successful gift-giving season one Christmas led her to start selling. 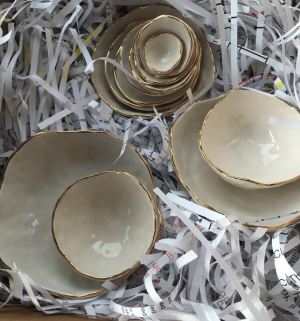 “My mother-in-law cried when she opened the bowls I had made her. From there, I loved it so much that I kept making things and started signing up for local artisan markets,” says Zepick, who is based in Wichita. Zepick loves seeing the transitions in pottery. “My favorite part of the whole process is creating something functional from a ball of wet clay,” she says. 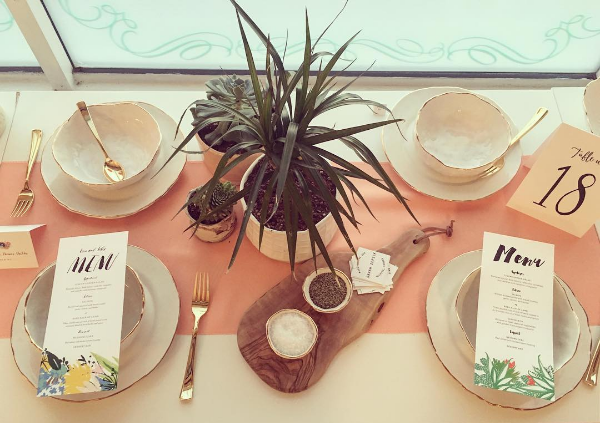 Find more about Sarah&apos;s work on her Facebook page & Instagram!